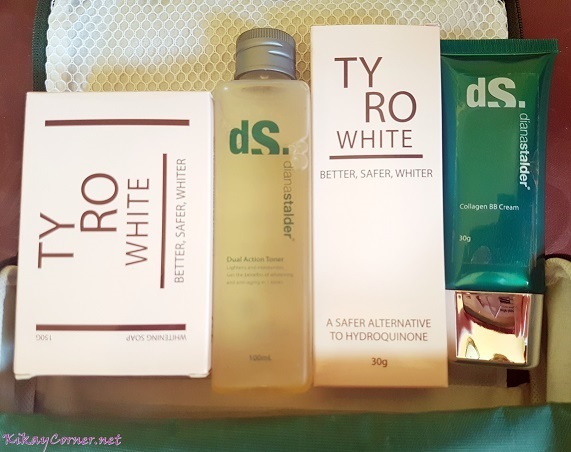 I recently discovered TyRo White, a line of whitening products available at Diana Stalder. It claims to be a natural Alternative to Hydroquinone. My pretty Dermatologist at Diana Stalder prescribed TyRo White to support the laser treatment for my sun spots. 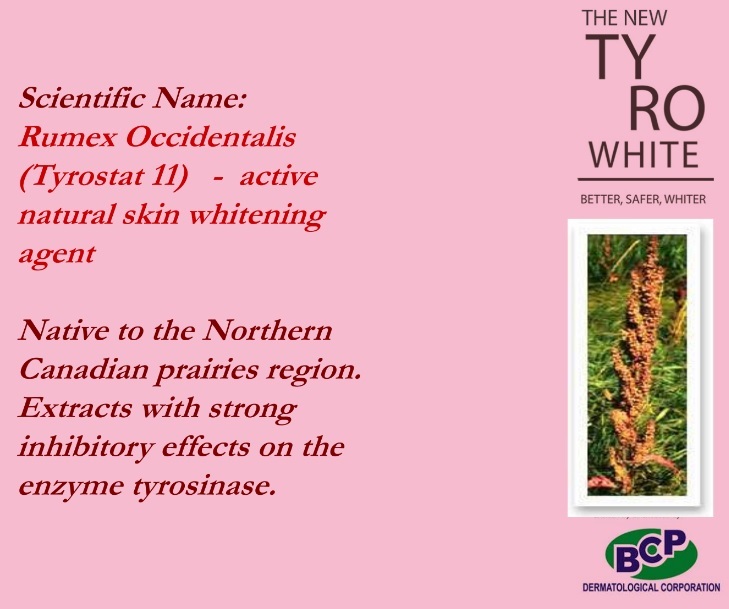 Tyro White’s Active Ingredient’s scientific name is Rumex Occidentalis (Tyrostat 11). This ingredient is native to the Northern Canadian prairies region. Extracts with strong inhibitory effects ont he enzyme tyrosinase. Thus, the name. TyRo White is a special, natural whitening product that works double-fast in lightening skin tone. It contains 2% Rumex Occidentalis* Extract that strongly inhibits melanin pigment formation. Daily skin whitening product which prevents appearance of age spots, sun spots, freckles and other unwanted skin pigmentations. Adds to a more radiant and luminous glow on the face! How exactly does TyRo White Work? Reduces the formation of unwanted pigmentation, allowing control over skin tone and colour. Gives a clearer complexion and a reduction in age spots. There were 30 respondents composed of 18-45 year old healthy volunteers with skin type III to IV, who has no recent history of whitening product usage for the past 4 weeks. They were also cleared from having any form of systemic or dermatological disorders. They were properly screened and were admitted to the Clinical Study for each product. 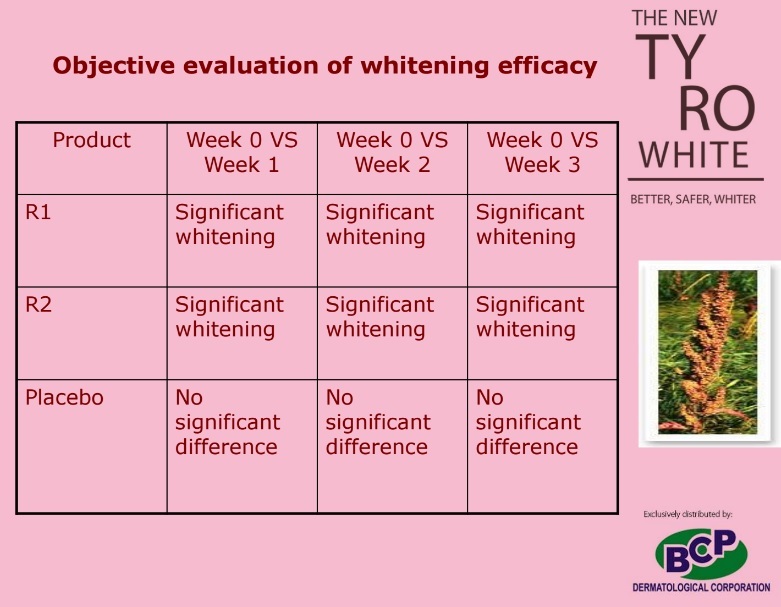 Like any other product that went through clinical trial, this was tested against placebo as well and the result is evident that the TyRo White active ingredient Rumex Occidentalis resulted in significant whitening starting from the first week of use as opposed to the placebo’s zero whitening result. I don’t know about you, but I’m loving the fact that there is actually a natural alternative to hydroquinone. While I’m not aiming for a whiter skin since I’ve been for the most part, fair-skinned all my life (except for the times I’ve gone beach trotting), TyRo White was the regimen that Dr. Anne of Diana Stalder prescribed for me to use a week after the first laser treatment for the sun spots on my left cheek. Ask your dermatologist about TyRo White. 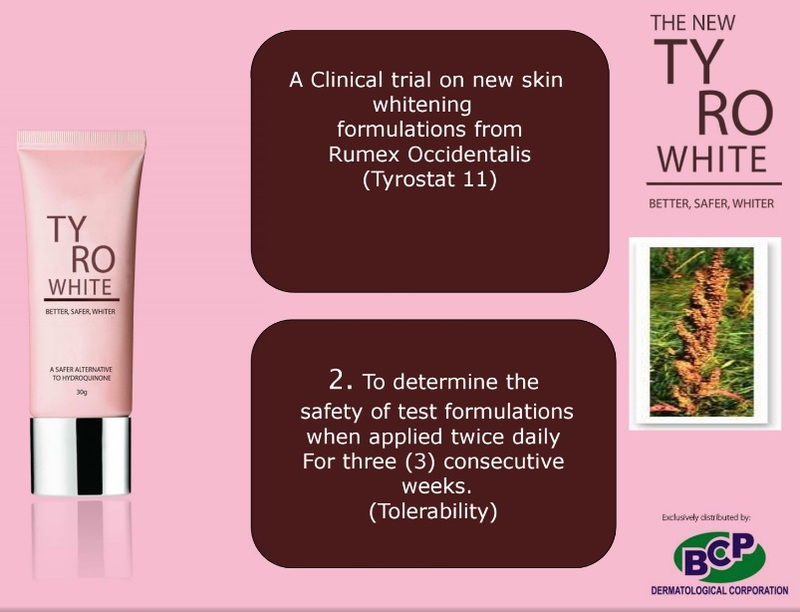 TyRo White is product of BCP Dermatological Corp.
TyRo White products are available at Diana Stalder branches. Feel free to visit Diana Stalder on Facebook and keep posted on promos and skin care offers.